Tom has over thirty years of experience managing well over 5,000 projects in the environmental services contracting and hazardous materials industry. Tom is responsible for the advancement of company procedures, design and compliance of environmental regulations. 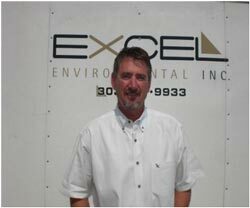 Tom started Excel Environmental Inc in 2000 to put forth his vision of what a quality environmental services firm could offer to people. Tom’s experience encompasses projects ranging from small emergency response spills to large scale multi-phased cleanups. Having worked many sides of the environmental abatement industry as a hygienist, project manager and President, Tom brings the attention to detail and understanding of both client and corporate requirements that ensure compliance and satisfaction across the board. 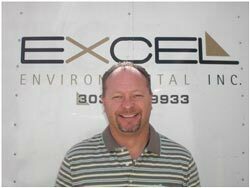 Tom is responsible for the development of Excel Environmental Inc and has aided in its successful completion of over 4,000 projects since its inception in September of 2000. Tom currently serves as President, Project Manager and Chief Executive Officer and is one of the owners of Excel Environmental. Tom’s diligent efforts have helped establish strong clients relations that include the City and County of Denver, Laramie County School District, Aurora Public Schools, Alamosa County, Denver Federal Center, Johnson & Whales University, Colorado Mountain College, Colorado School of Mines, Anadarko Petroleum, Denver Department of Parks & Recreation and numerous others clients within both the private and public sectors. Tom is also a member of the Cherokee Indian Tribe and through genealogical verification has aided in the development of his self-certified minority status and the current process of becoming a nationally certified minority owned business. Carl has over twenty two years of experience managing environmental projects with over 17 years serving as the Vice President of Operations. Carl has earned the respect of numerous clients, colleagues and subordinates for his highly valuable environmental knowledge and expertise as well as customer service and project performance. Carl's attention to Federal and State Regulations is unsurpassed only by his attention to the health and safety of employees, the general public and the environment. Some of his duties include marketing and client relations, project estimating and oversight of project progress and performance, final invoicing and approvals as well as compliance of all Local, State, Federal and Regulatory Agency requirements. Carl currently serves as Vice President, Project Manager and Chief Operations Officer and is one of the owners of Excel Environmental. Carl’s diligent efforts have helped establish strong clients relations that include Colorado University, Denver University, Envirocon, US Mint, NIST, Bank of the West, Hoffman Heights, Whitney Canyon Plant of Wyoming,Regis University, Stanley British Primary, Herron Enterprises and numerous City & County of Denver Parks. Carl served in and was Honorably Discharged from the Marine Corp. in May of 1990. He joined Schaur & Associates as a Partner in 1990 until April of 2004 when he joined Excel Environmental as an owner and VP of Operations. Carl currently holds the following certifications: EPA-RRP Contractor, 40 hour OSHA HAZWOPER, EPA Certified Asbestos Supervisor, Colorado Certified Project Designer and First Aid & CPR. 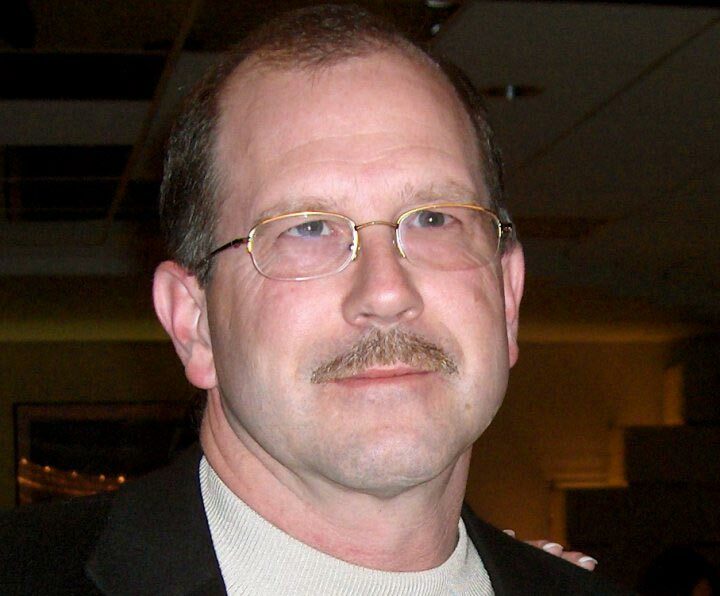 Bart has over thirty years of professional experience in the Project Management of Field Services in Environmental Services, Construction and Telecommunications, Engineering and Service Environmental fields and holds a Bachelors Degree in Business Administration. Bart has worked to develop safety and oversight of field service operations. After serving for seven years in the US Military as a Nuclear, Biological and Chemical Specialist, Bart worked as a Central Office Installer in the telecommunications industry working his way up into management. Following that Bart held the position of Manager of Engineering before being promoted to Director of Operations of a large corporation. Bart was responsible for operational over site of five business divisions and was responsible for management of project managers, engineers, field services staff and the electronic circuit board repair and wireless phone distribution operations while bringing in over 1.5 million dollars in revenue on a monthly basis. While Mr. McTaggart held this position he achieved over 150 million dollars per year in annual revenue. Bart currently serves as Vice President, Project Manager and Chief Financial Officer and is one of the owners of Excel Environmental. Bart’s diligent efforts have helped establish strong clients relations that include Aurora Public School, Denver Public Schools, San Juan County Schools, Estes Park CO, Grand Junction, and numerous other private commercial, governmental and residential clients. Bart has held executive positions as Vice President, Project Manager, Branch Manager, Director of Engineering and Installation, and Director of Operations. Bart’s Military career included training and operations as a Nuclear, Biological and Chemical Specialist, as well as a Fire Direction Computer Specialist (FDC), Satellite/Microwave Telecommunications Team Chief, and Training and Operations NCO. Mrs. Zavala has twenty years of professional and practical construction experience. Within the environmental industry. Jenny’s expertise encompasses environmental remediation, emergency response, and commercial and industrial fields. Her professional background includes: Health and Safety officer, trainer and manager; Project Superintendent and Project Management; ensuring budgetary and environmental compliance; project design and implementation as well as direct project supervisor. Jenny has spent years training on various remediation courses with a strong health and safety background. Her additional duties include project management, contracts and proposals, management of projects and production compliance procedures, project design and quality assurance. Jenny’s diligent efforts have helped establish strong clients relations that include the University of Denver, City of Westminster and Westminster Mall, City and County of Denver, Denver County Parks and Recreation, Stapleton and numerous other private clients. Jenny began her professional career with a Bachelors in Geology and M.S. in environmental studies. She currently holds the following certifications: EPA Certified Asbestos Supervisor, OSHA 40 hour HAZWOPER, Confined Space and Rescue, Department of Homeland Security Clearance, RFETS Waste generator, Radiological Worker I & II and Beryllium Worker. Serena joined the Excel team in April of 2007; her current position is Office Manager. Serena has over 10 years working in accounting, record keeping and banking with detailed all around office management experience. Serena’s detailed-oriented approach to managing the Excel office keeps our records and general business documents in order and available to our management team to help provide our clients with accurate responses and our team with detailed records of activity. Serena works with Excel's accountant to ensure all aspects of our business is recorded, tracked and applied to the correct general ledgers. Serena's organizational efforts allow Excel to be successful and to track all aspects of our business. Serena’s professional experience includes; accounting (A/P, A/R, Billing, and Reconciliation of Accounts, Month / Year end closeouts), administrative support, data entry and database management, coordinating, planning and scheduling meetings, compiling and tracking of information for various projects, maintaining office staff, equipment and other administrative projects. Jessica has over eight years of experience researching, performing, coordinating and leading environmental remediation and health and safety projects. Jessica’s research and coordinating background duties includes: compliance of all local, state and federal environmental regulations, emissions and impact reporting, permitting, and correspondence and quality assurance. Jessica is currently on NAWIC board of directors as acting Secretary. Jessica’s additional experience and current responsibilities include: compliance of State permitting requirements, regulatory compliance and correspondence, technical writing, document design, project tracking, marketing, employee health and safety training, analytical procedures, waste characterization and profiling, oversight, analytical procedures, and soils projects. Jessica's experience and expertise is demonstrated in his long term development of strong client relationships with government, commercial and educational organizations. Jessica’s professional experience includes; Project Management & Coordination, Administrative Support, data entry and database management, coordinating, planning and scheduling meetings, compiling and tracking of information for various projects, equipment and other managing project responsibilities both in the field and the office, with local, state and federal regulatory agencies. Jessica’s diligent efforts have helped establish strong client relations. Currently holds the following certifications: EPA Certified Asbestos Supervisor, Mold Mitigation Supervisor & 10 Hour Construction safety, Colorado Lead RRP, Project Designer, Hazardous Material Handling and Hazardous Waste Transportation.